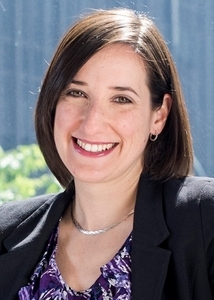 NEW YORK, Sep. 11 /CSRwire/ - Common Impact, a nonprofit recognized as a national leader in skills-based volunteerism, is expanding its leadership team with the appointment of Tara Cardone as Chief Operating Officer (COO). Tara will be a key partner to Common Impact’s leadership team and Board of Directors as the organization shepherds in the next phase of growth in corporate skills-based volunteerism. This growth will help the organization meet increasing corporate and nonprofit demand for effective skilled volunteer and employee engagement solutions that deliver on business and community goals. COO Tara Cardone joins Common Impact from JPMorgan Chase, where she served as Head of Employee Engagement & Volunteerism. She started her career at JPMorgan Chase in 1999 as part of a leadership development program and served in a variety of positions in both Human Resources and Corporate Responsibility. In her last role, Tara was responsible for developing, expanding and implementing programs that engaged more than 55,000 global employees in community service experiences that demonstrated the firm’s social responsibility commitments as well as helped employees develop leadership skills. Tara developed JPMorgan Chase’s first global skilled volunteer program, the Field Service Corps, a program in which employees from around the world work on financial projects with local nonprofit organizations for a full-time, three-week period. She has experience building a range of skills-based volunteer programs that leverage the talents of employees to create inclusive economic growth in global communities. Tara served as a Trustee on the Board of Coney Island Prep from its founding in 2008 until 2017. The first charter school in south Brooklyn, Tara helped grow Coney Island Prep from its inaugural class of 90 fifth graders to a K-12 school serving over 1,000 students in three buildings across South Brooklyn. Eight years later, those original fifth graders graduated from high school with a 100% college acceptance rate, outperforming the neighborhood averages. Tara will be based in Common Impact’s headquarters in Brooklyn, New York. A life-long New Yorker, Tara earned her BA at Fordham University and her MPA at New York University’s Wagner Graduate School of Public Service.